Within a few months of joining this group, Brenda got her BFP (big fat positive) with twins, Addison and Jacob. Her and Josh were SO excited to be welcoming their babies into the world. Brenda experienced many complications during her pregnancy and her son Jacob passed. Addison was a small preemie at 3.9 lbs but a fighter and has grown into a healthy little girl. Though missing their beloved Jacob, their daughter Addison is a gorgeous and wonderful girl. She is now a little over one year old and is one of the cutest little girls I've had the pleasure of photographing. 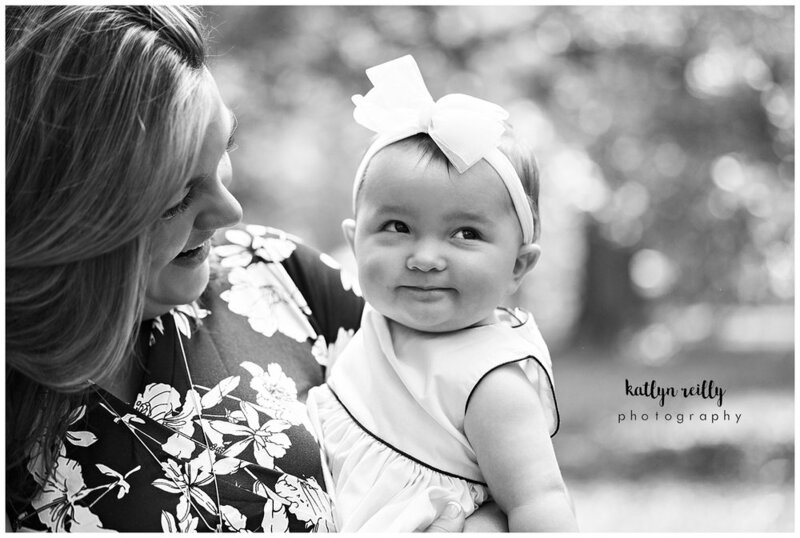 Check out a few photos from their family session below! Brenda's gorgeous necklace honoring Jacob. Thank you both for having me document your beautiful family! Addison is just the sweetest little girl and too cute! Leave some love for The R Family below, and until next time..